A new international development bank and multi-billion emergency lending pool are set to be launched by Brazil, Russia, India, China and South Africa. The move comes at a summit meeting of BRICS leaders in Brazil. The "New Development Bank" (NDB) is intended to compete with the World Bank and its private lending arm, the International Finance Corporation (IFC), by making it easier and quicker for developing countries to gain access to large-scale financing for infrastructure projects. The BRICS will also set up a $100 billion (73.5 billion euros) joint US dollar currency reserve pool called the Contingent Reserve Arrangement (CRA), in order to provide emergency cash to BRICS countries faced with short-term currency crises or balance-of-payments problems, Russian Finance Minister Anton Siluanov has told reporters in Moscow. Competition for World Bank and IMF The two new BRICS institutions are intended to provide developing countries with alternatives to the World Bank and International Monetary Fund (IMF), which are headquartered politically as well as physically in the US capital. 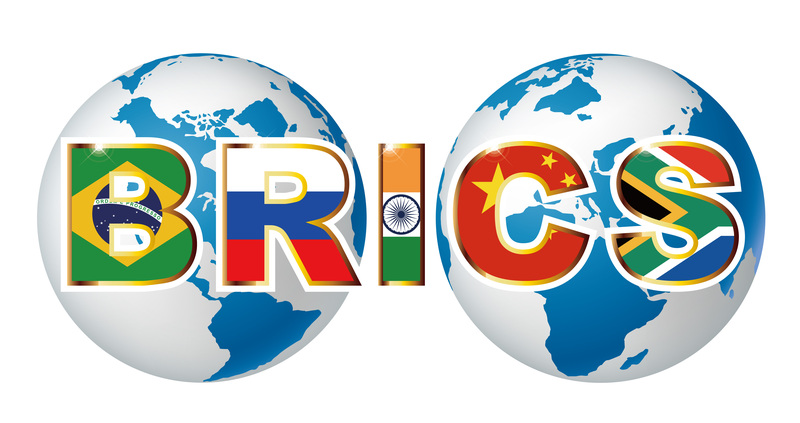 The BRICS are trying to free themselves and other developing countries from US dominance. Building new shared institutions is a key aspect of that effort. The NDB, whose $50-billion initial capital will be contributed equally by the five BRICS nations, is intended to offer infrastructure construction loans with fewer restrictions and delays than World Bank loans. Some analysts, like Reuters Breakingviews columnist Andy Mukherjee, worry that NDB lending might prove less careful than the World Bank about vetting projects on sustainability criteria. The NDB "could help ease the $1.4 trillion-a-year infrastructure financing gap in developing nations," Mukherjee has written, but also "could open the doors wide for projects that are social and environmental disasters". The CRA's mission parallels that of the IMF. It will provide emergency funds to governments faced with a sudden shortage of hard currency - especially of US dollars, the dominant currency in global trade and finance. Developing-country financial crises can occur when international investors suddenly pull large amounts of hard currency out of a country because of worries over its banking system's solvency, a change in interest rates, or some other financial factor. Crises can also result from a sudden drop in the price of a developing country's main export. For example, a drop in the price of oil or copper can lead to balance-of-payments problems. A key question is how the CRA's lending conditions will differ from the IMF's. For decades, IMF emergency loans have been extended to developing countries only if they have agreed to limit public spending, open their economies to foreign investment, abolish tariffs, deregulate markets, privatize state-owned firms, and take other measures consistent with the so-called " Washington Consensus" economic policy agenda. Some economists, such as Nobel Prize laureate Joseph Stiglitz, argue that Washington Consensus policies have been damaging in many of the countries where they have been applied, by causing under-investment in infrastructure, health and education as governments slash spending. It's too early to tell whether the CRA will drop the Washington Consensus and apply substantially different lending criteria. Jose Alfredo Graca Lima, Under-Secretary-General for Political Affairs at the Brazilian Ministry of Foreign Affairs, said on Thursday in Rio de Janeiro that the CRA would be modeled on the Chiang Mai Initiative of southeast Asian countries. The Chiang Mai Initiative, an emergency currency fund established by the Association of Southeast Asian Nations (ASEAN) in May 2000, remains strongly linked to the IMF: only 40 percent of a member's borrowing quota can be accessed without the member agreeing to an IMF policy program. China will draw on its huge US dollar reserves to provide the lion's share of funding to the CRA. China will contribute $41 billion, Brazil, Russia and India will each contribute $18 billion, and South Africa $5 billion to CRA's initial capital. Failure to reform World Bank and IMF led BRICS to act The World Bank and IMF were set up in the aftermath of the Second World War, to provide funding for the reconstruction of Europe. The governing councils of the World Bank and IMF include representatives from many nations, but they are still dominated by the US and its European allies. In recent years, with the economic rise of China, Brazil and other emerging countries, the calls for increased representation of BRICS countries in World Bank and IMF governing councils have grown louder. Four years ago, a draft deal was reached to restructure the World Bank and IMF's governing boards to increase the influence of China and other emerging nations. However, the deal requires approval by US lawmakers, and the US Congress has refused to pass the required enabling legislation. Developing countries are fed up. At the annual meeting of the IMF's International Monetary and Financial Committee (IMFC) in Washington in April 2014, chaired by Tharman Shanmugaratnam, the deputy prime minister of Singapore, IMFC members - most of them high-ranking officials of developing countries - released a communique saying "we are deeply disappointed with the continued delay in progressing the IMF quota and governance reforms". They added that "alternatives to move forward with the reforms must be found whilst the major shareholder" - the US - "does not solve its political problems." The BRICS' decision to provide competition to the World Bank and IMF by setting up the NDB and CRA could put increased pressure on Washington to stop dragging its feet on adopting the reforms.